The Ascot Vale fitness studio has thumping tunes and its own onsite bar. For most of us, hitting the gym and hitting the club are two very different propositions. But at Ascot Vale's newest workout destination, F*IT, they've been thrown together into one very unique, high-energy hybrid. 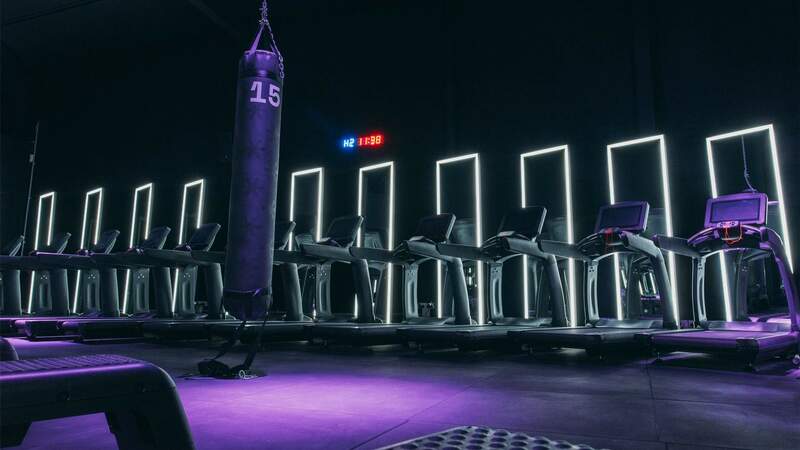 A multi-sensory space where fitness meets clubbing, the Mt Alexander Road newbie offers 'high intensity group workouts in a nightclub-inspired environment'. There are five different sweat-inducing classes to get involved in, each session thumping to the kind of tunes you'd usually hear from the DJ booth at 1am on a Sunday morning. But strangely enough, the soundtrack's not the only thing at F*IT reminiscent of a weekend dance floor session. In an Aussie first, this fitness club also boasts its own fully-stocked, onsite bar, licensed and ready to booze. By day (6am-8.30pm, Monday to Saturday), you can charge up with a protein-packed signature smoothie, in flavours like Pina Covado and Gettin' Wheysted, or an espresso coffee (available in the coming weeks). Then from 7-10.30pm Fridays, members can opt for something a little stronger, when the bar starts slinging the hard stuff. On the menu is a range of cocktails, a weekly changing beer special and a tight selection of wine and spirits, plus there's a sleek, low-lit nightclub space in which to enjoy them. Just don't get too indulgent, or you'll undo all the hard work you put away in that strength training class. Find F*IT at 544 Mt Alexander Rd, Ascot Vale. Prefer to head outside for both your workout and that recovery tipple? Here's where to train for a marathon and have cool-down brew after.